With over twenty years’ experience in visual communication design, engagements have run the gamut; these are just a few examples. 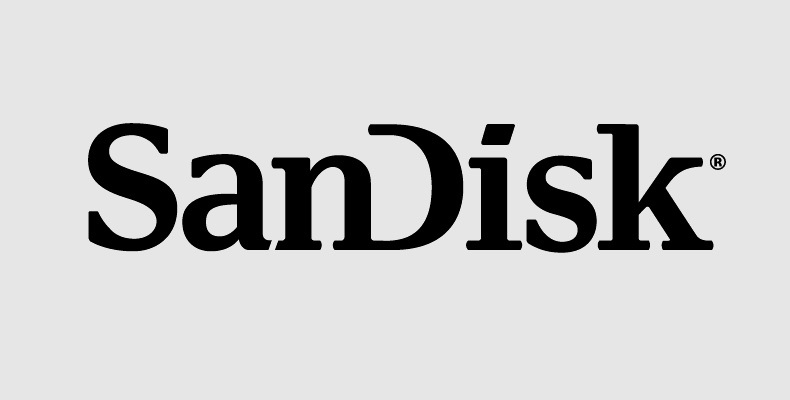 As the leader in flash memory technology, SanDisk’s established logo exhibited numerous mechanical problems, which affected its legibility and impacted brand recognition. Reworking it—as part of a broader rebranding program—resulted in a more fitting mark that would reproduce easily when printed very small on memory cards. 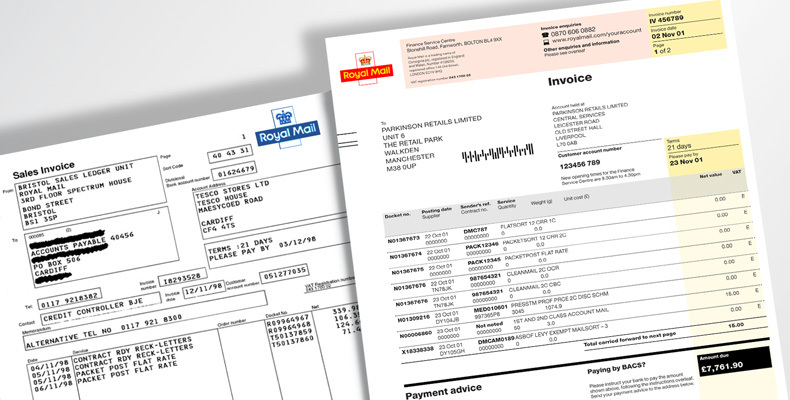 With customers strongly criticizing its commercial invoices (shown on the left) and subsequent late payments affecting revenue, Royal Mail commissioned a systematic redesign of these documents (right). Interviews with internal personnel and a number of customers informed the initial design process; subsequent prototypes were tested with a range of typical customers, and refined based on the results. The project resulted in myriad changes to the invoice and to the processing of payments. Changes were specified for implementation on a number of integrated back-end systems, and the final result saw substantial cost savings through a reduction in paper usage and telephone support staff. Symantec Sans and Symantec Serif were created as part of a broader brand development program for Symantec, developer of information technology security solutions. 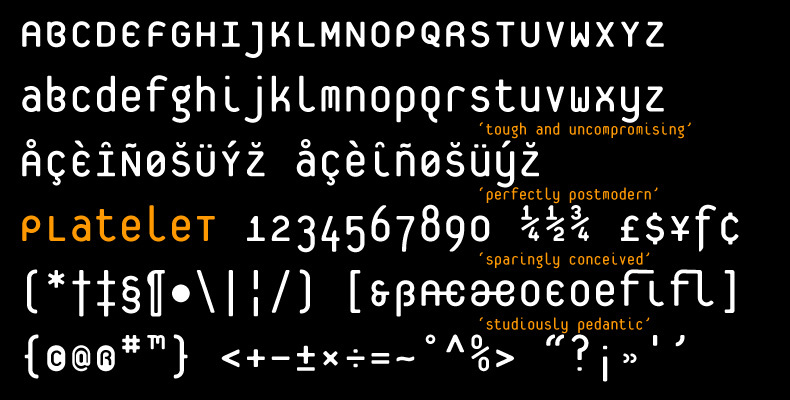 The custom type family supports a wide range of western languages, as well as Greek and Cyrillic scripts. With assistance from: Erik Spiekermann (initial design consultation); Christian Schwartz (design development); and Ascender Corporation (multilingual extension). 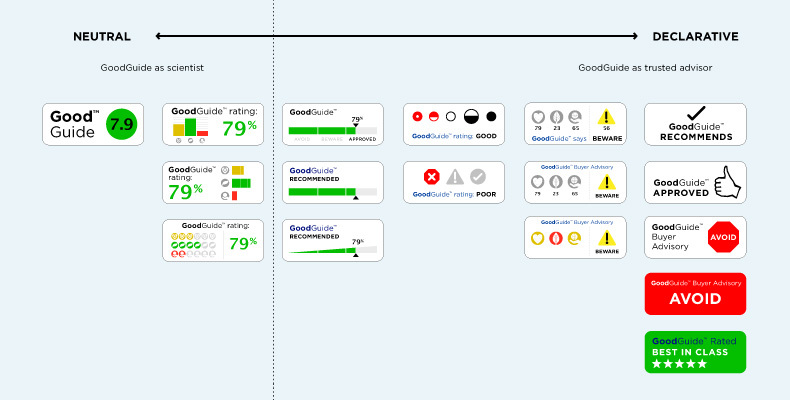 Following on from a previous (unrealized) initiative to enhance the presentation of its product ratings, GoodGuide wanted guidance on how and what to communicate about its research findings. This was part of a first discussion document, presenting a number of potential stances for GoodGuide, ranging from its previous academic roots to something much more consumer-oriented and direct. Platelet is based directly on characters and figures found on the car license plates in California. Since its commercial release by Emigre in 1994, Platelet has sold well and appeared in places as diverse as The New York Times and the soles of Camper shoes. Critically acclaimed, it was also added to London’s Conran Foundation Collection in 1996. Read the full story of the typeface.